Schedule - Slides now available! Facebook Page for the conference is now available (requires membership). Conference Registration Desk Times and Locations here. A campus map is available here (particularly useful if you are arriving after 11pm and this map may also be of use). A List of Participants is now available. An HTML Schedule is now available. The Conference Booklet including the final schedule is now available as is an updated Abstract Book. During the above times, the staff at the registration desk will be happy to provide any assistance and information to participants. useR! 2011, the R user conference, will take place at the University of Warwick, Coventry from Tuesday 16 August 2011 to Thursday 18 August 2011. Pre-conference tutorials will take place on Monday 15 August. The conference is organized by Department of Statistics, University of Warwick and supported by the R Foundation for Statistical Computing. Prior to the conference, on Monday 15 August 2011, there are tutorials offered at the conference site. Each tutorial has a length of 3 hours and takes place either in the morning or afternoon. Adrian Bowman, Lee Edlefsen, Ulrike Grömping, Wolfgang Huber, Brian Ripley, Jonathan Rougier, Simon Urbanek and Brandon Whitcher. John Aston, Julia Brettschneider, David Firth, Ashley Ford, Ioannis Kosmidis, Tom Nichols, Elke Thönnes and Heather Turner. Ramón Díaz-Uriarte, John Fox, Romain François, Robert Gramacy, Paul Hewson, Torsten Hothorn, Kate Mullen, Brian Peterson, Thomas Petzoldt, Anthony Rossini, Barry Rowlingson, Carolin Strobl, Stefan Theussl, Heather Turner, Hadley Wickham and Achim Zeileis. (updated 23-July-2011) For those preparing posters, the poster boards can accommodate posters of size A0 (Portrait only) or A1 (Landscape or Portrait). The deadline for all talks and posters has passed and abstracts will no longer be accepted for inclusion in the program. All abstracts submitted before the regular abstract deadline (not late-breaking abstracts) have now been considered by the Programme Committee, and every author of such an abstract should have now received an email with the decision on acceptance. The Abstract Book in now available. Abstracts may be submitted for posters presenting recent developments and late-breaking applications of R, on topics as indicated in the previous call for abstracts (see below). Late-breaking posters will be displayed during the Poster Reception alongside regular posters, and they will appear in the electronically published book of abstracts for the conference. However they will not be considered for any poster prizes and will not be listed in the program booklet. To submit a late-breaking poster abstract, please use the submission form. Note, please use the abstract templates available in .doc or .tex formats, with an example .bib provided for the latter. Contact authors will be informed whether or not their abstract has been accepted usually within 5 days. All participants are invited to present a Lightning Talk, for which no abstract is required. These talks provide a 5-minute platform to speak on any R-related topic and should particularly appeal to R newbies. Participants wishing to give such a talk must provide an informative title on their registration form before 24th June 2011. The call abstracts for regular talks and posters closed on 4th of April, though see Late-Breaking Posters above. The assignment of talks to sessions will be made by the program committee. In both cases presentations will be allowed 17 minutes, followed by 3 minutes discussion. In addition to the regular contributed talks, all participants are invited to present a Lightning Talk, for which no abstract is required. These talks provide a 5-minute platform to speak on any R-related topic and should particularly appeal to R newbies. Participants wishing to give such a talk must provide an informative title on their registration form. For regular talks/posters, please use the abstract templates available in .doc or .tex formats, with an example .bib provided for the latter. Thanks to the generosity of our sponsors, in particular the Centre for Research into Statistical Methodology (CRISM), we are able to offer a limited number of conference bursaries for PhD students. The bursaries will cover accommodation in a standard single room on campus for the nights Sunday 14 August to Thursday 18 August inclusive (as required), up to two tutorials and the conference registration fee. In addition, Revolution Analytics are sponsoring a number of scholarships for US PhD students, which will provide $1000 towards travel and accommodation. The deadline for applications for funding has now passed and no more applications are being accepted. 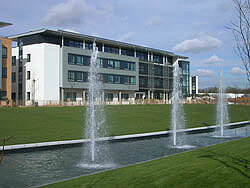 The University of Warwick is a campus university on the edge of the city of Coventry. The University website links to further information as does the Department of Statistics webpage. Information and useful links on the numerous and famous attractions in the area surrounding the University of Warwick can be found on the university visitor pages and on the The Heart of England tourism site. Information on how to get to the University of Warwick is provided for travellers from within the UK and from overseas . Note that the University is not in the town of Warwick (that is about 8 miles distant), and it is not the same as Coventry University (that is another university, located in the centre of Coventry). It is anticipated that the conference program will extend into the afternoon of Thursday 18 August, therefore participants are advised to book onward travel for Thursday evening at the earliest. Participants may also be interested in attending the 58th World Statistics Congress of the International Statistical Institute (ISI 2011) which takes place in Dublin from the 21st to the 26th August. 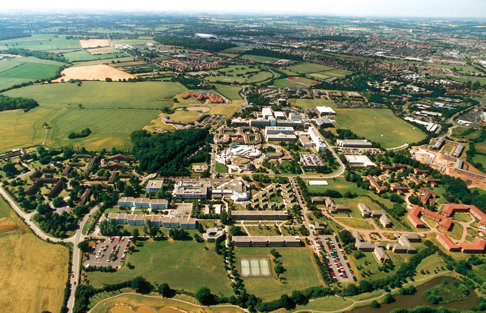 Participants are recommended to stay on the University of Warwick campus, where the conference events, both academic and social, will take place. Further details and costs of accommodation on campus is provided, along with links to accommodation off campus. Please contact the organising committee at useR-2011 at R-project.org for further information.